Andy Murray has told an incredible story about a hotel maid that stalked him around Europe and broke into his hotel room while he was sleeping. The world No 2 has his fair share of loyal fans around the world, but it appears one used her privileged position to take things a step too far. 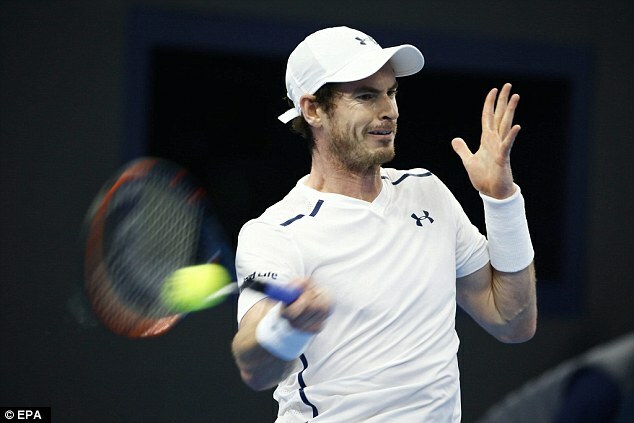 Speaking in an ‘Up Close and Personal‘ interview with the International Premier Tennis League, Murray said: ‘At one of the tournaments that I played, there was a maid in the hotel. ‘I had the do not disturb sign up on the door and she came in and sat on my bed and started stroking my arm at about seven in the morning when I was still sleeping. 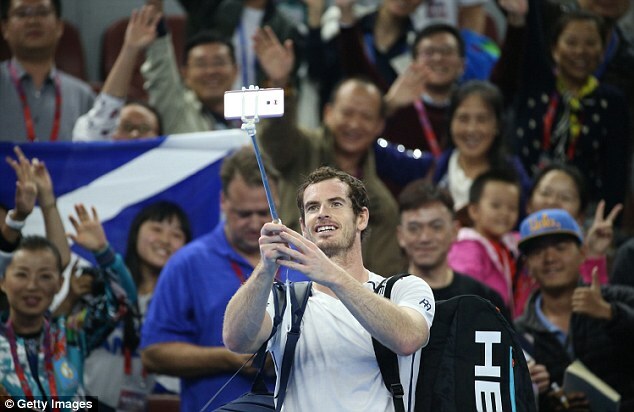 As the interview continued, Murray was asked to reveal his first purchase after winning big on the ATP Tour. He said: ‘My apartment that I bought in London would be the biggest thing I ever bought but [the first thing] I bought was a Range Rover which I couldn’t actually drive because I didn’t pass my driving test until I was 22. 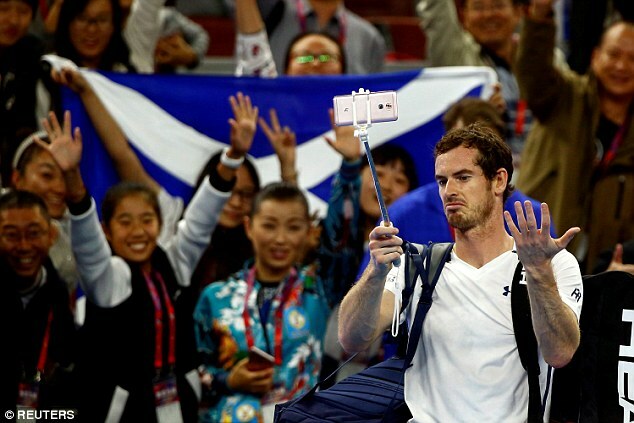 The Wimbledon and Olympic champion is currently in Beijing, and won his first-round match at the China Open on Tuesday. He came past Italy’s Andreas Seppi 6-2, 7-5, fighting back from 2-0 down in the second set to win in two. Murray will play Konstantin Kravchuk or Andrey Kuznetsov in the second round, with a potential match-up against British No 2 Kyle Edmund in the quarter-finals. Anusha Dandekar: If you had played in any era gone by, who would be a dream mixed doubles partner? Andy Murray: Serena [Williams] would be a pretty good partner. And Steffi Graf as well, one of those two. AD: Where is the coolest place you’ve ever played a game of tennis? AM: Madison Square Garden. That would be the best one. A couple of years ago, me and Djokovic played an exhibition match there. That would be the coolest place, yeah. AD: What is the craziest thing a fan has ever said or done for you? AM: At one of the tournaments that I played, there was maid in the hotel. I had the do not disturb sign up on the door and she came in and sat on my bed and started stroking my arm at about 7 in the morning when I was still sleeping. She then turned up at a couple more tournaments in the hotels that I was playing at in Rotterdam and Barcelona. I don’t know if that’s a fan thing, but that’s a bit extreme, but that happened. AD: Who was your idol growing up and why? AM: There were two. Andre Agassi and Tim Henman. AD: What was the first big thing you bought with your tennis earnings? AM: My apartment that I bought in London would be the biggest thing I ever bought but [the first thing] I bought was probably a car. I bought a Range Rover which I couldn’t actually drive because I didn’t pass my driving test until I was 22. But my girlfriend drove it … for me and for herself. AM: I hate sports movies. I hate sports movies. AM: After my wife, Halle Berry. AD: Do you have any addictions? Material or food, that you can’t live without. AM: Fantasy sports. So fantasy football, fantasy basketball. The thing I like about that is when you’re travelling around, it’s a good way of keeping in touch with all my friends.